Pokemon Go dropped so many new things. We have new shiny mons, new generation 4 mons, new events, new information, and all sorts of goodies! 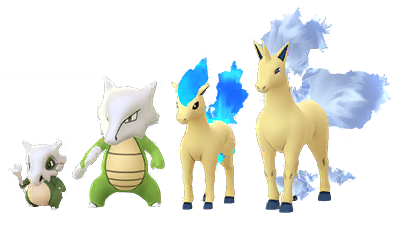 New shiny families released for Cubone and Ponyta. For an unknown amount of time these mons will have increased spawns in the wild. Go snag them before they revert back to normal rates. Alolan Marowak also got its shiny form released. Note that this mon is a tier 4 raid exclusive. Get those raids on! 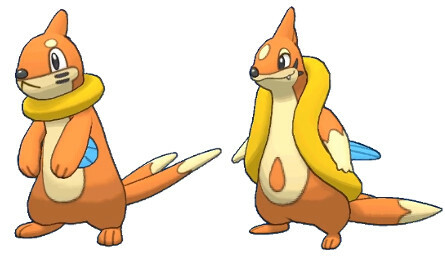 Buizel, the Sea Weasel Pokémon, has now arrived with a splash in tier 1 Raid Battles all around the world. It is also available in the wild! This mon can evolve with 50 candies into Floatzel. Put those walking shoes on and get hatching, Trainers. Budew, a Grass- and Poison-type Pokémon originally discovered in the Sinnoh region, can now be found in 5km Eggs! It does have its shiny version released as well! Baby Pokémon such as Magby, Wynaut, and Togepi are now hatching from 7 km Eggs from Gifts. These appear to have increased shiny rates! (NOTE: 7 km Eggs can also still hatch Alolan Pokémon). A double stardust event (for catch and hatch) is live until 4pm on November 13th! This has been added to the events calendar to make it easy to know what is going on! Blast Burn Announced for Typhlosion (but we already assumed this). Don’t forget that Cyndaquil Community Day is this weekend. Sadly we had an issue with getting buttons ordered in time, so there will be no new buttons for this event. We will have the remaining Halloween buttons, PoGo Findlay buttons, bouncy balls, and Ultraball Trade stickers moving about the park! Note that the Stardust Blast event is giving 2x catch stardust, and the community day has a bonus of 2x catch stardust. That means you will get 4x catch stardust during the community day hours (if you are using a star piece it will boost to 6x stardust on catches)! 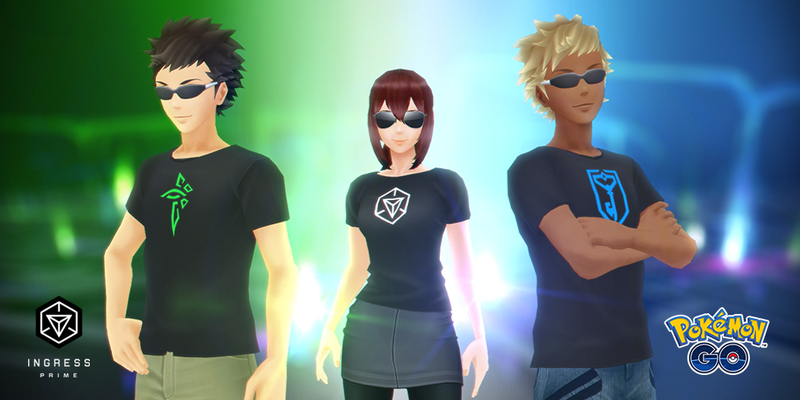 Three new (free) Ingress shirts have been added to the styles selection for your character. There are new special boxes that have been added to the shop. These contain items like super incubators, raid passes, star pieces, incense, and more. Go and stock up on some discounted items! A new wave of Ex Raid passes for November 14th have been sent out. Check out the Ex Raid Event for information on the channels and counters for the raid boss. Quick update on the Adventure Sync rewards. These will reset every Monday at 9am. So get to walking!